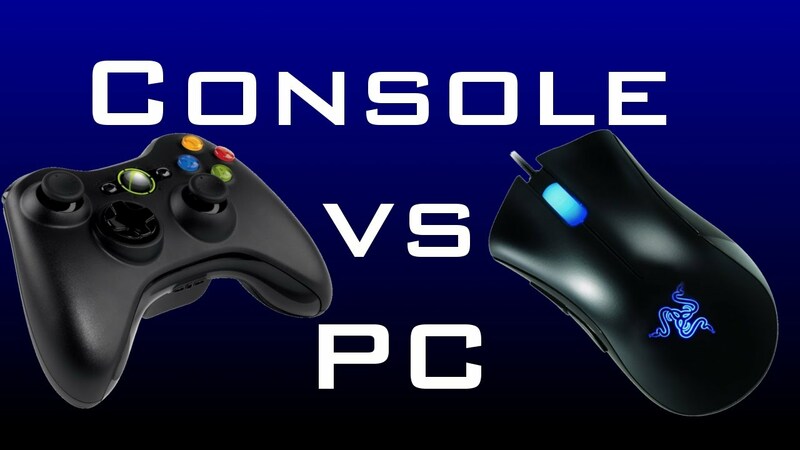 PC gaming vs. console gaming has been a long running debate and quite frankly, there is no certain winner in this fight. Both mediums have advantages and disadvantages, which means that there will never be a clear winner. It all comes down to preferences. Some people would always game on PC because that’s how they like it – they are used to the controls, the games, the best visuals, the fast pace of multiplayer, but it lacks great long-running exclusive game like Uncharted, Legend of Zelda, Jak & Daxter, Yakuza, and many more. Console players on the other hand have a huge list of exclusive titles to play, but they have to compromise on visuals, fast paced keyboard and mouse controls, etc. Due to these downsides, neither one of them can ever have an edge over the other. However, there are certain points that favor console players and some points that favor PC gamers, and we have discussed them in detail below. As we all know, piracy plagues the PC usage more than any other gaming medium. To counter this problem, developers have taken multiple steps including help from Denovo. Denovo hasn’t been as effective as initially expected, but it is still doing its job. Only problem is, Denovo is not only a pain for the pirates, it’s a pain for the users that actually paid for the games as well. It slows down the computers, causes lag, and in some cases, it even crashes the application. PC users aren’t happy with it but because developers want to minimize piracy, they will keep on utilizing this tool. PS4 and Xbox One, on the other hand don’t have piracy at all, which means that every single copy is sold legally and developers are getting their cut. This is the main reason developers are going out of their way to ensure that the console version of their games run smoothly, while PC versions are usually ignored. Console market is increasing by each passing day and piracy on PC has a huge hand in that. No one wants their effort to be wasted in the hands of pirates so instead of releasing and optimizing the game for PC gamers, they do their best work on consoles. Things will most likely remain the same in the near future as there are no signs of piracy slowing down. Although PC gets the most amount of exclusives, but they aren’t as good or appealing as the console exclusives. Console exclusives have to be good because they are supposed to be system sellers. A lot is dependent on them, which is why publishers try their very best to outperform their competitors in this department. Microsoft does have a few exclusives and they do appeal to a large user base, but in terms of diversity, Sony and Nintendo are dominating the market. They are working on all sorts of games to gain interest of different individuals. This strategy has been working wonders too as both Nintendo and Sony consoles are selling like hotcakes. During black Friday sale, both Nintendo Switch and PlayStation 4 got sold out in the market and both of them had to restock immediately. Sony is reaching close to 75 million, and by the end of this year, you can expect this number to reach 80 million. PlayStation 3 was in the market for a long time and in its life time, it managed to sell 83-84 million units. PS4 has been out for just four years and it has already caught up with the number of its predecessor. The main reason behind its popularity is the variety of exclusives and this number is keep getting bigger with each passing year. Xbox One has had some decent exclusives, but with no AAA budget exclusive coming in the near future, has Xbox One really outclassed. Although Xbox One X is the strongest machine in the market, without any AAA exclusives, it will never sell as much as the PS4 or Switch. Graphics is the reason we have to upgrade every now and then. Console players have to purchase the latest version in the market, while PC players have to get the latest hardware. The latest hardware last for a significant amount of time, but in most cases, people prefer to upgrade because they don’t want their games to look bad. In terms of visuals, there is no beating PC. A well optimized game will always look the best on computers. It doesn’t stop here as there are mod creators who come up with new stuff to add into the game. They can simple landscape look like a lush scenery, a mere house can end up looking like the most detailed house in gaming, and so much more. Mods add a lot to the PC gaming and they are one of the biggest reasons why a lot of people prefer PC gaming. Unfortunately, there is no modding on consoles as players have to make do with the visuals that the game comes with. Only content that gets added is by the developers as no third party has permission to add anything at all. This means that console players are missing out on a huge chunk of fun activities that PC players do on regular basis. Although there is no way for console users to increase their game’s visual fidelity, but they have one huge advantage. Only thing they have to do is download the game or put in the disc and it will work. They won’t have to download all sorts of stuff or make sure that they have the recommended specifications or anything like that. The process of using a gaming console is as simple as it can get. Just get the game, put in the disk and you are good to go. PC gamers have to adjust their graphics card, have to make sure that they have enough RAM, have to ensure that all the programs in the background are shutdown and so much more. There is a lot going on, on a computer. However, that’s not the case with consoles. They are plug and play machines, which is suitable for all ages and even for those people who aren’t tech savvy and just want to enjoy their game time.